Turnover crosses Rs. 8900 crores Exports reach Rs. 3030 crores. 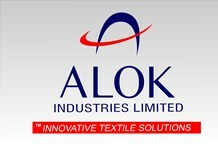 Completion of Expansion of polyester production from 900 tons/day to 1400 tons/day. 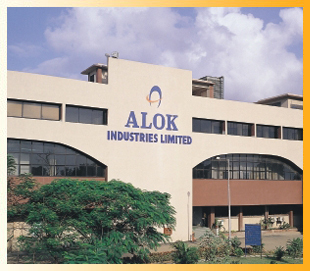 The amalgamation of Grabal Alok Impex Limited (GAIL) into the company was completed on 1 March 2012 with effect from 1 April 2011. Acquired stake in UK retail "Store Twenty One"
Texprocil silver trophy awarded for second highest export in manufacturer exporter – made ups category. FCCB issue of USD 70 million. FCCB issue of USD 35 million. Commenced Phase I & II of expansion programme (Spinning, Weaving, Processing & garmenting) aggregating to Rs. 1,175 crore under TUFs. Rights issue of FCDs of Rs. 51 crore. Turnover exceeds Rs. 550 crore. Expansion initiated under Technology Upgradation Fund Scheme (TUFs) for weaving and processing capacities wih investment of Rs. 225 crore. Turnover exceeds Rs. 300 crore,including export of Rs. 9 crore. Private placement of equity shares of Rs. 16 crore to Century Direct Fund(Mauritius). Rights Issue of equity shares aggregating to Rs. 14.98 crore. Annual sales of Rs. 100 crore. Sets up financial and technical collaboration with Grabal, Albert Grabher GmbH & Co of Austria to make embroidered products through a joint venture company, Grabal Alok Impex Ltd.